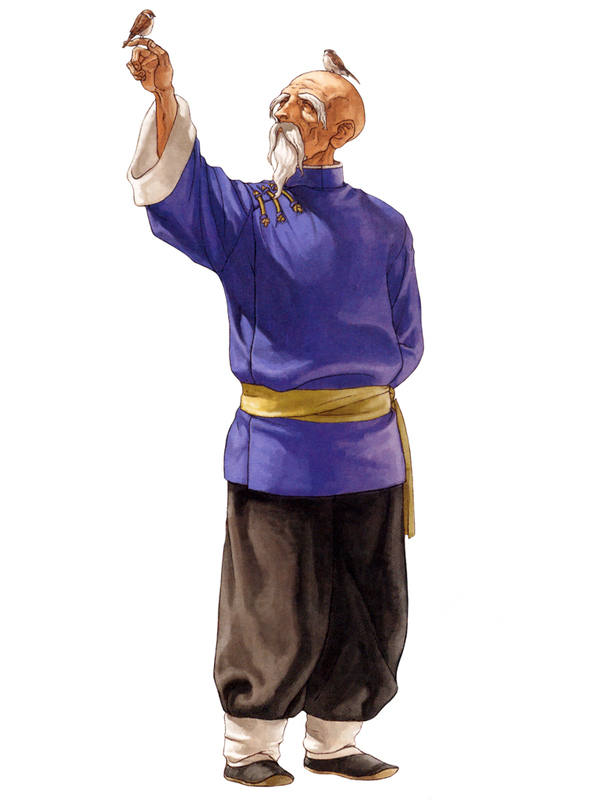 Tung Fu Rue is the Chinese martial arts master who taught Jeff Bogard, Geese Howard and Chen Sin Zan. 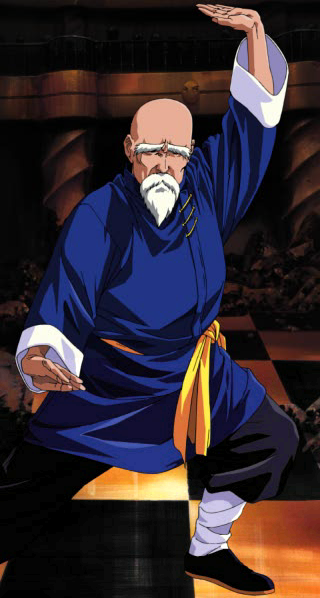 This tiny, elderly master of Hakkyokuseiken and Chinese Boxing can enlarge his body with the power of his spirit, and suddenly grow muscles to become massive. 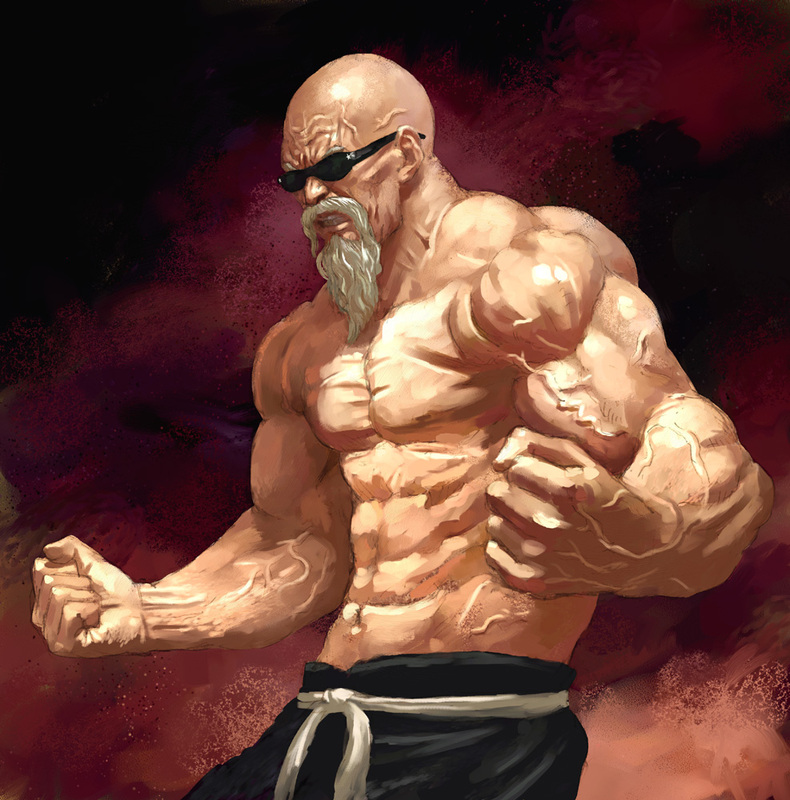 He is a tribute to Master Roshi from the Dragonball series. 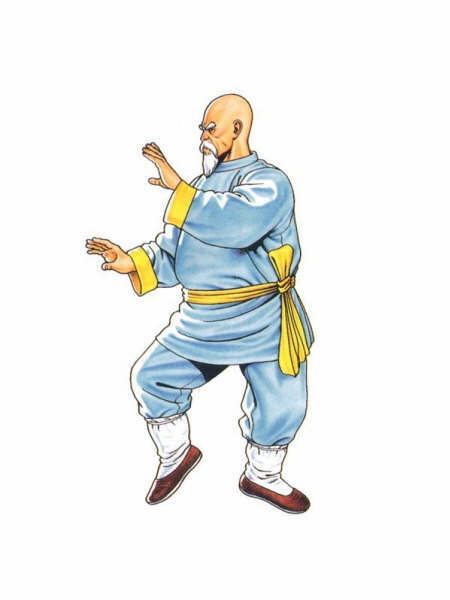 Although he had trained both Jeff Bogard and Geese, he wanted Jeff to be his only successor since he showed true discipline and was an honorable fighter. Due to this, Geese murdered Jeff out of pure jealousy. 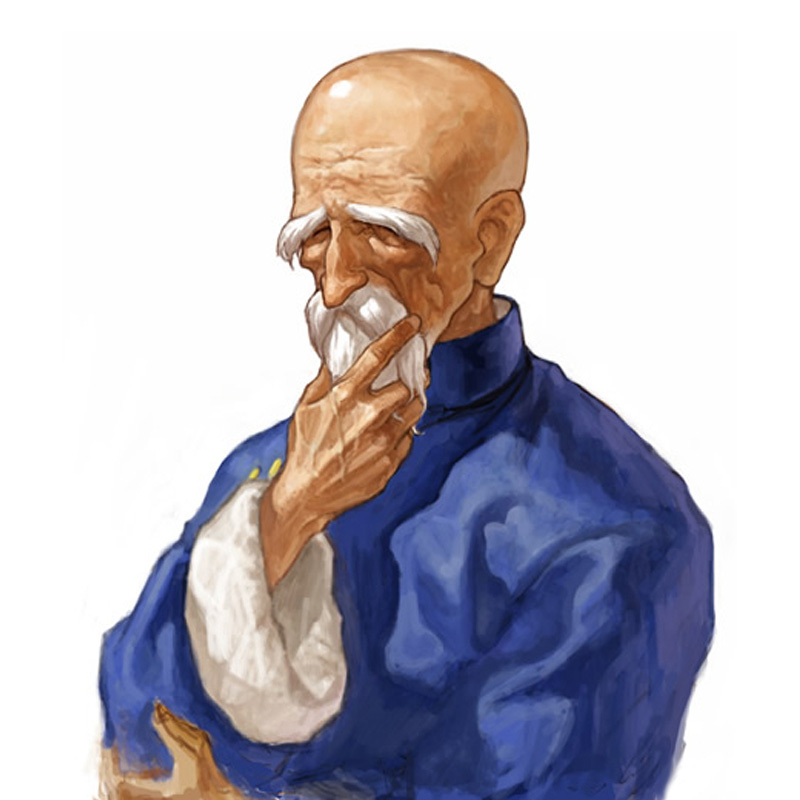 Tung was so saddened by the loss that he decided that he would have no more successors. 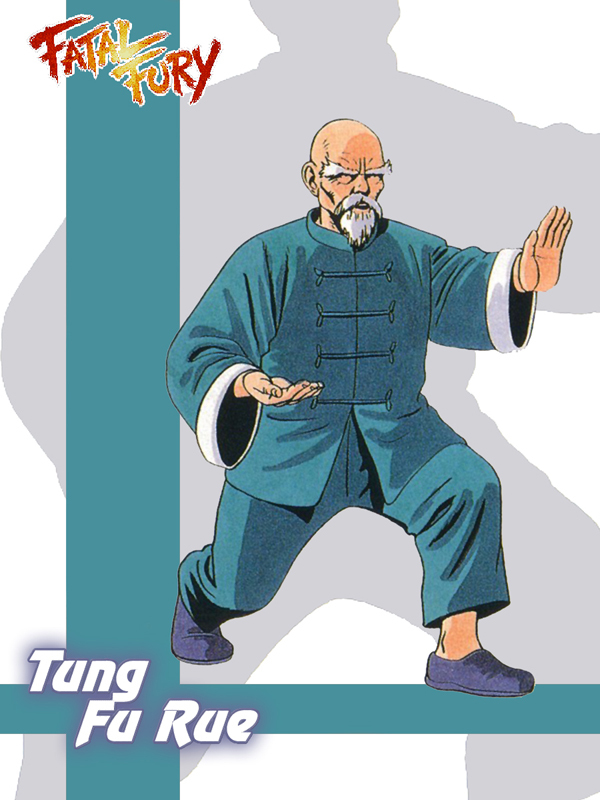 Tung had entered the 1991 King of Fighters tournament hosted by Geese, but was eventually defeated. 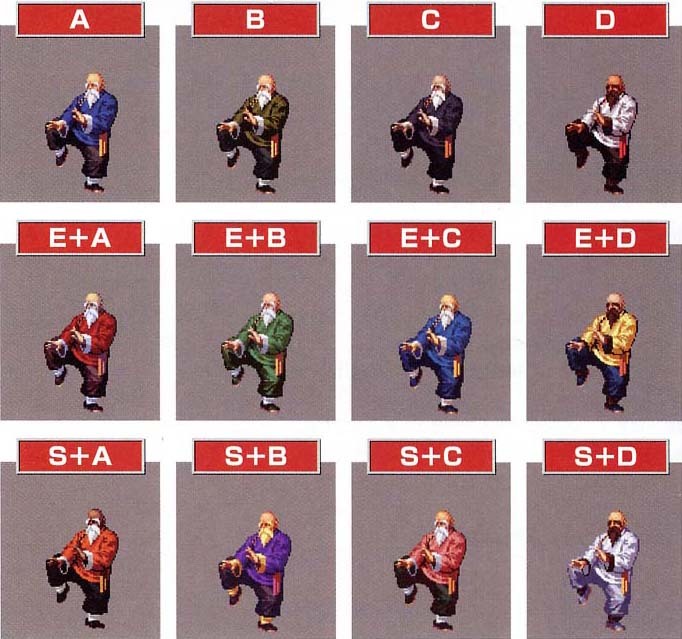 In Fatal Fury Special, he overexerted himself and is hospitalized. 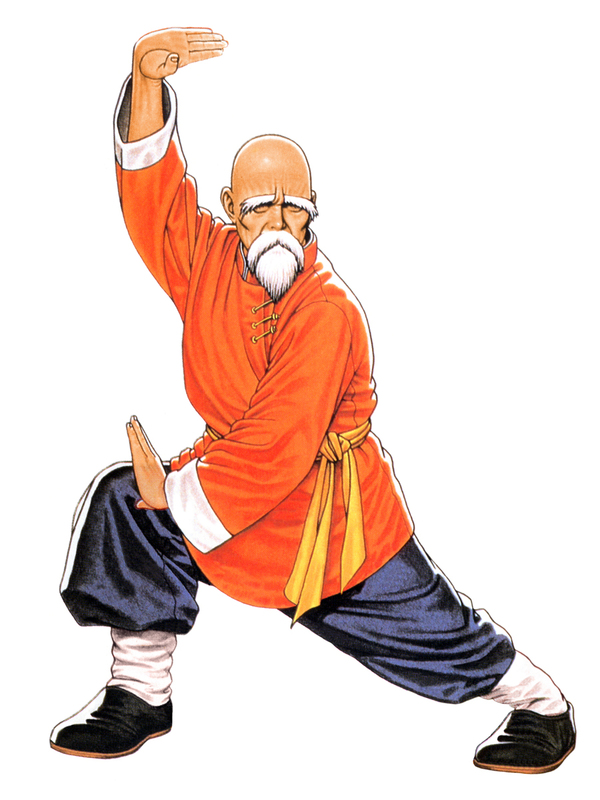 Afterwards, he decides to live the rest of his life in retirement and he occasionally enters a competition to keep in shape. 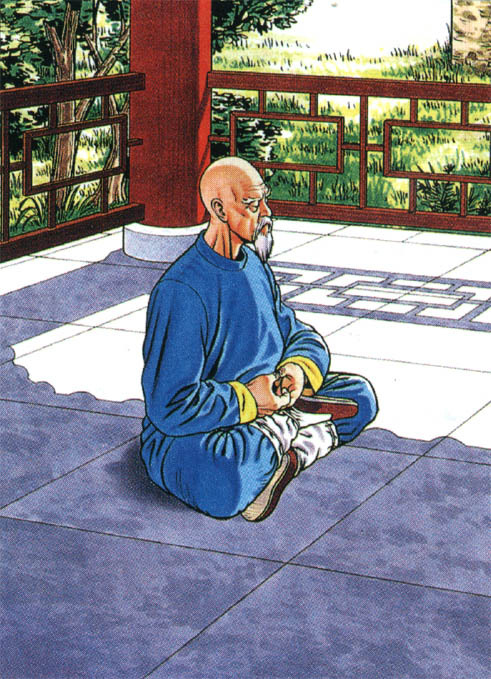 Although he taught Terry for a period of time, Tung made it a policy to refuse any other disciples. 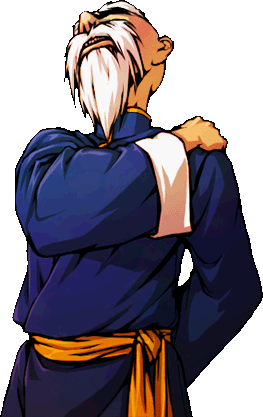 He seems to break this in Real Bout by apparently making the Jin brothers his apprentices. 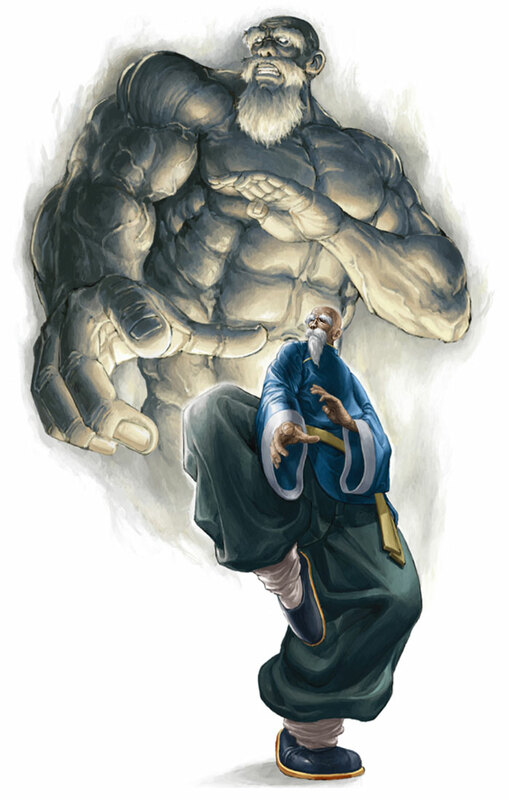 Some endings in Real Bout 2 show him taking only Chonrei as his apprentice, with Chonshu staying with Kim Kaphwan. 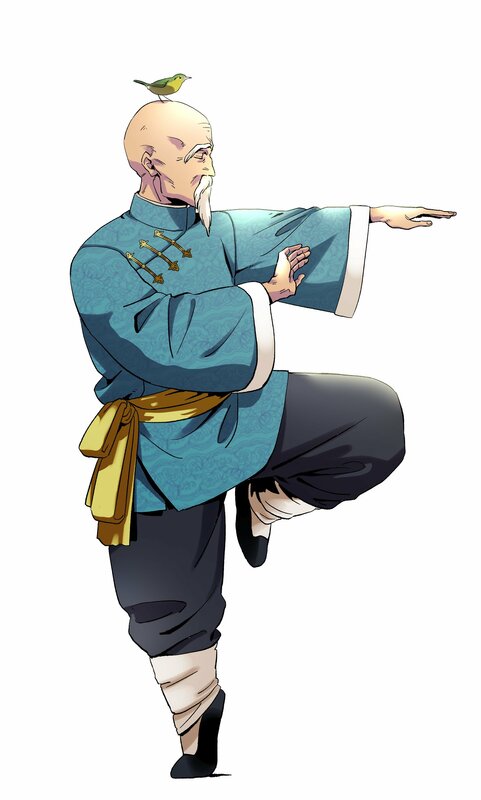 Tung Fu Rue looks like your token elderly martial arts master that you'd see in... pretty much everything. lol. He got some unique abilities that make him stand out from other old masters... especially his ability to transform into a huge steroid-crazed meat-head at will. lol. Besides that, he's a pretty boring character design to me. 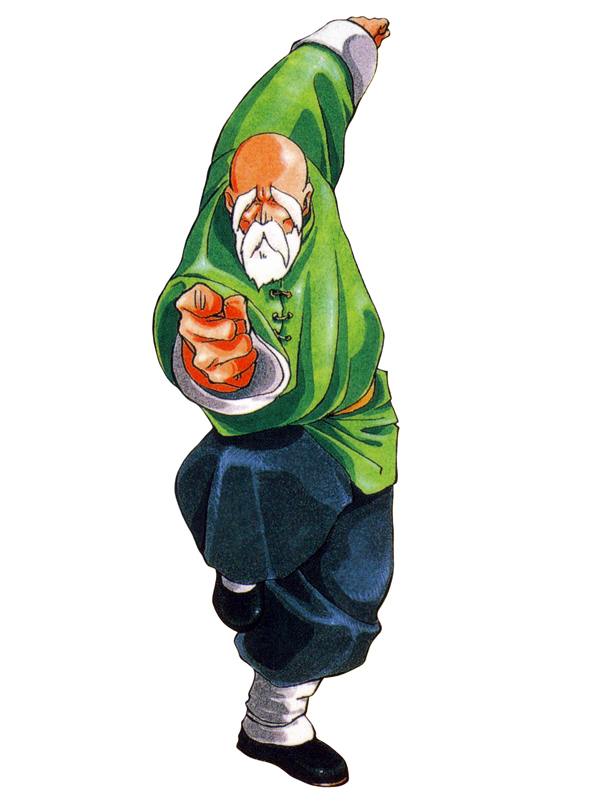 He's still an SNK classic, and I'd say he at least deserved to be in the games he appeared in.